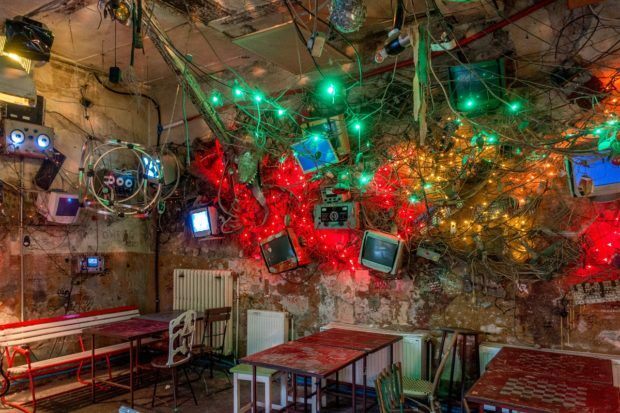 Take an abandoned building, Christmas lights, a bit of edgy décor, and a proper amount of liquor, and you’ve got one of our favorite places to visit in Budapest—a ruin pub. 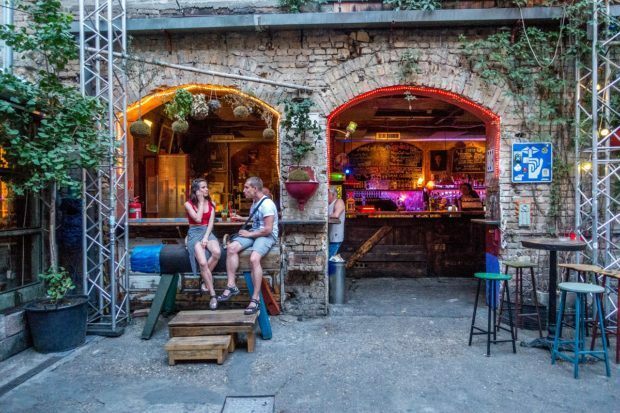 Concentrated in the VII district (aka the Jewish Quarter), Budapest ruin pubs are a mix of bars, restaurants, and sometimes even artistic and cultural centers. They defy easy explanation. And that’s part of why they’re so popular. 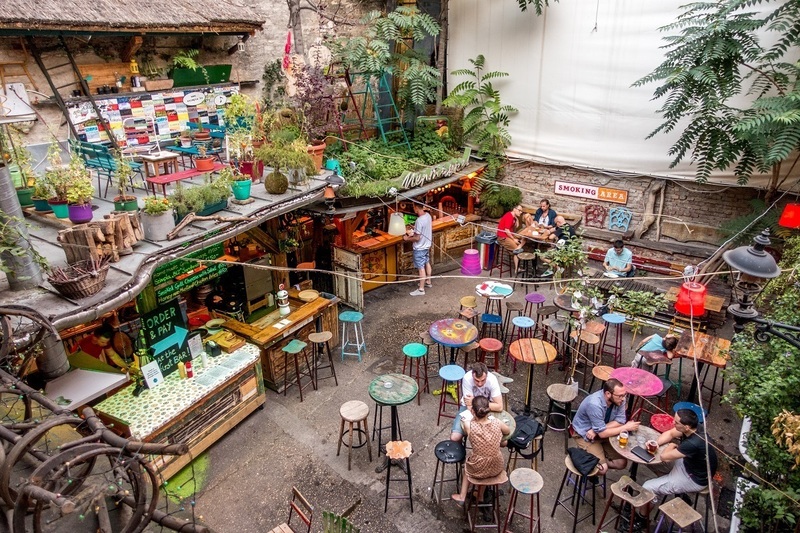 Each ruin pub in Budapest has a vibe all its own. 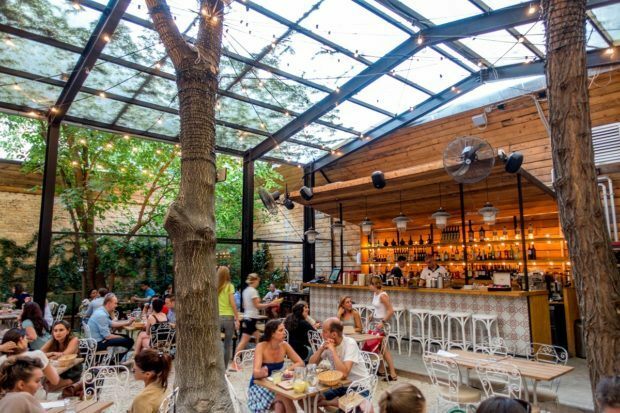 From crazy funky to simply crazy to outdoor garden party, you can find pretty much any kind of ruin bar you’re looking for. 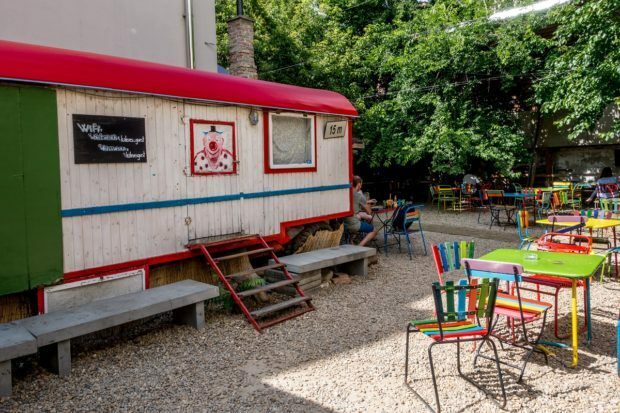 On our most recent trip to Budapest, we went on a quest to see how many of these fun places we could check out in just a few short days. Here’s a look at some of the best ruin bars we discovered. 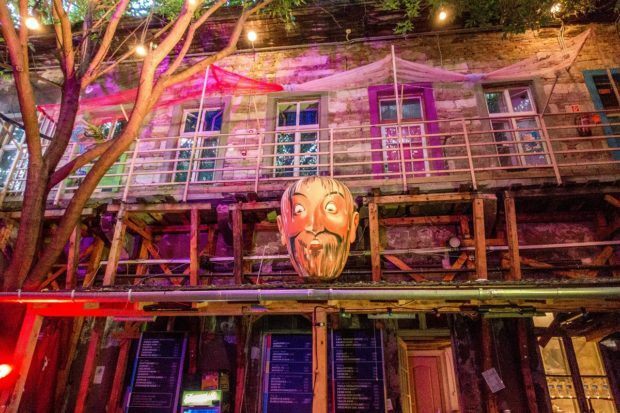 Szimpla Kert is the granddaddy of the ruins pub. 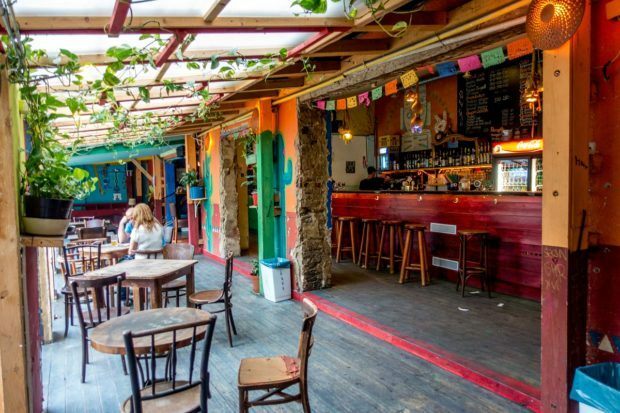 At over 16 years old, Szimpla is easily one of the most famous bars in Budapest and is exceedingly popular with tourists thanks to its inclusion in just about every guide book and website around. Just because it’s touristy doesn’t mean it’s not worth a visit. 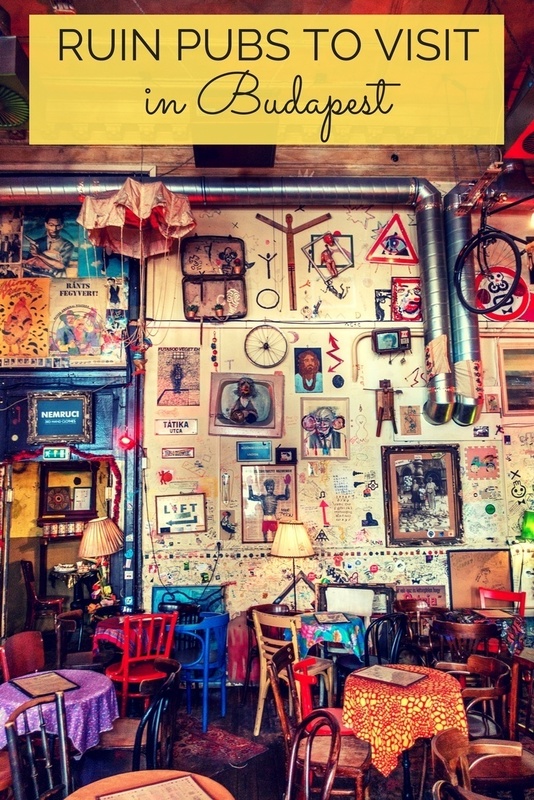 The décor at Szimpla Kert ruin bar is the definition of eclectic. Everywhere you look, there’s something unexpected and seemingly random. From disco balls and bright Christmas lights to a nest of old computer monitors that I’m pretty sure are a fire hazard, there’s something to catch your attention everywhere. Szimpla Kert has a bicycle hanging from the ceiling, a old Trabant turned into a sought-after spot for drinks, and if you get tired of standing, you can take a seat on an old pommel horse. Why not? Around the various rooms and spaces at Szimpla Kert, you can find plenty of choices of cocktails, beer, and wine, all at prices that seem downright cheap if you’re coming from the US or many places in Western Europe. There’s also a reasonable range of food options, including sausage, chicken fingers, and an array of sandwiches. Lest you think Szimpla is just about drinking and bar snacks, at its heart, it was designed as a community space, so it hosts open-air movie screenings and festivals. Its Sunday farmers market is also supposed to be fabulous, but we haven’t had a chance to visit personally…yet. 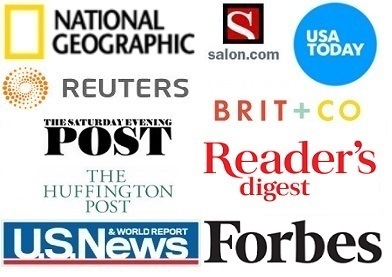 Interested in visiting the ruin pubs? Consider a small-group tour that will take you to some of the best. 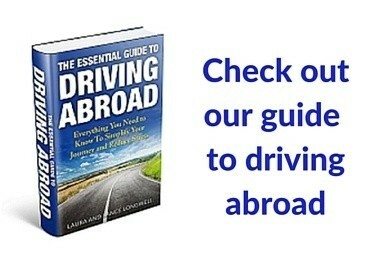 Check options, reviews, and prices. Csendes Vintage Bar is much smaller than Szimpla but has the same type of fun essence. Things get going early at Csendes when the café crowd takes up residence beginning mid-morning, followed by the lunchtime group and many others as day becomes night. What makes this place stand out from the other ruin pubs is the relaxed atmosphere (and great wifi) that allows people to linger pretty much all day, finding the particular time that suits them best at Csendes. The “come as you are” vibe extends to the surroundings of this ruin pub. Csendes Vintage Bar has drawings, notes, and stickers, all punctuated by found items interestingly affixed to the walls. The mismatched tables and colorful chairs are the perfect places to enjoy some of the soups, salads, sandwiches and main dishes from the bar (I can vouch for the burger). Don’t forget to add your own art to the wall before you leave. Where many of the ruin pubs have dark spaces and super eclectic decorations, Mazel Tov opts for giant skylights and clean lines. Although the space is covered, the outdoors comes indoors through trees and vines that hang from the upper story. More than anything, it feels like a chic patio, decked in white lights with trendy fixtures. 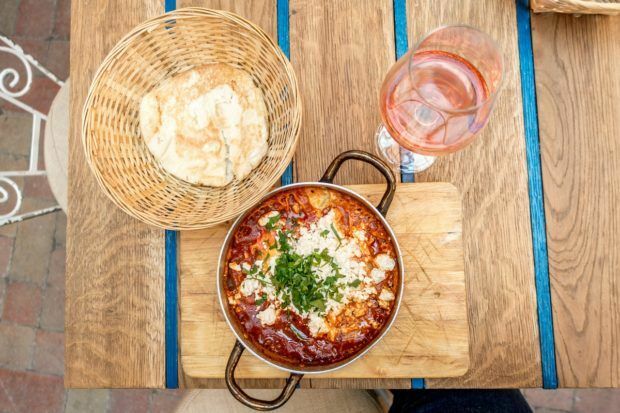 While still quite affordable (this is Budapest, after all), the food at Mazel Tov tends less toward the pub grub of other ruin bars and more towards Israeli/Middle Eastern specialties–falafel, hummus, pita, shakshuka. 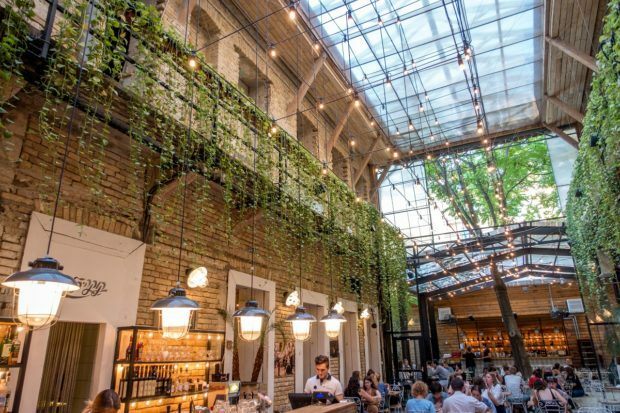 And, of course, it has a great selection of cocktails and Hungarian wines and many flavors of the Hungarian liqueur palinka. Like other ruin pubs, Mazel Tov offers an all-season space for music, the arts, and cultural events. The whimsical Fogas Haz ruin bar (named after a 100-year-old dental ad found in the building) bills itself as a fusion of an arts center and pub, featuring programs like film screenings, exhibitions, and theater performances. When it’s not focused on cultural programs, the heart of Fogas Haz is its huge dance floor, a hub of nightlife in Budapest. We visited Fogas early one evening before the music really got going and watched a couple of games at their foosball table before enjoying a few of the offerings from the extensive cocktail list. 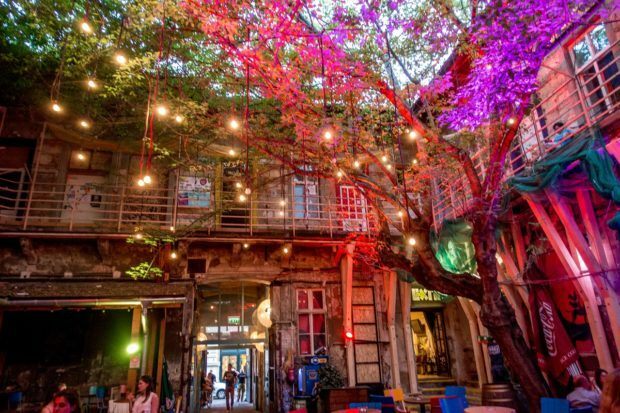 As we’re not much for the club scene, we stuck to the courtyard, with its giant trees dripping with lights. For the right guest (we’re not their target audience), this would be the place for late-night dancing. 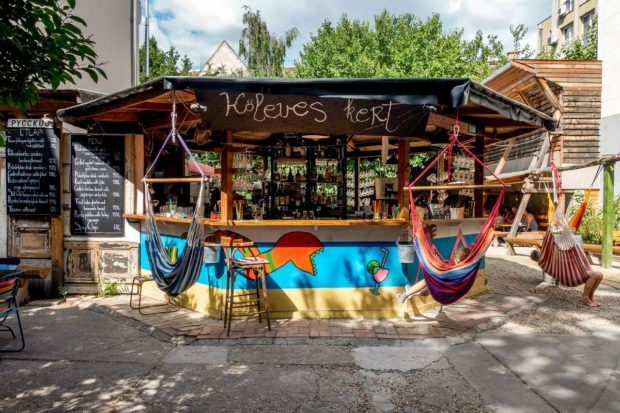 The atmosphere at Koleves Kert feels more like a playground than a ruin pub. From the colorful chairs to the swings at the bar to the cartoon artwork, this place is made for hanging out, no matter what your age. In the afternoons, students from nearby schools come with their parents to play and relax in the sun. As the day goes on, the clientele gets a little older, but Koleves kert never takes on the club vibe of some of the other ruin bars. Instead, patrons take up space on the benches, enjoy a traditional Hungarian wine spritzer, and snuggle up under a blanket if the temperature drops too low. 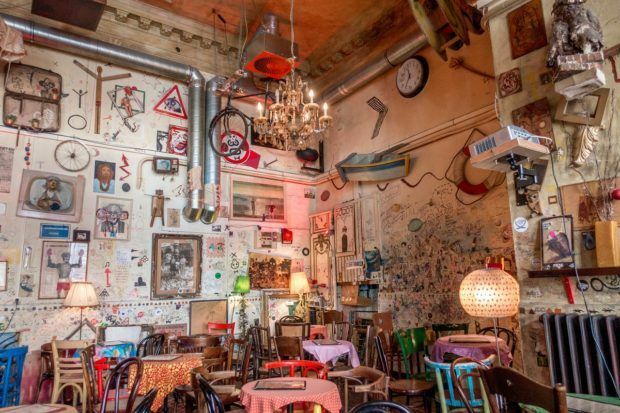 Ellato kert doesn’t have the kitsch of some of the other Budapest bars, but it has a spirit all its own. Specifically, that spirit is tequila. 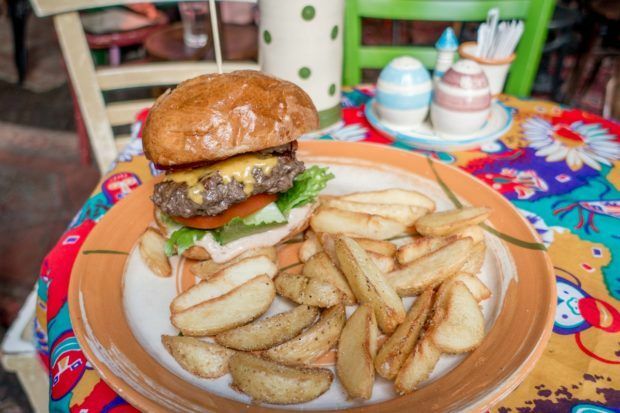 Yes, Ellato kert is the Mexican-themed ruin pub. 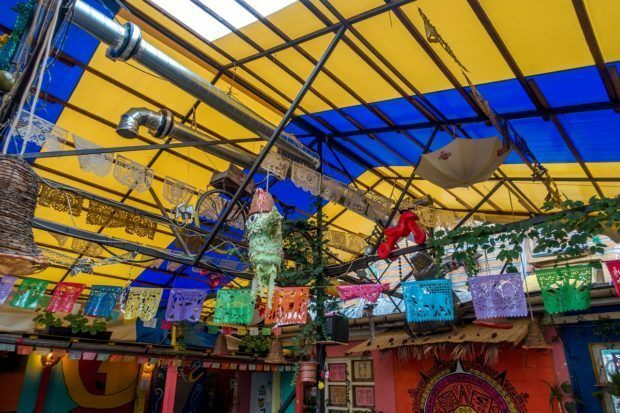 Hung with piñatas, paper lanterns, and Mexican party flags, Ellato kert is filled with bright colors. And tacos. 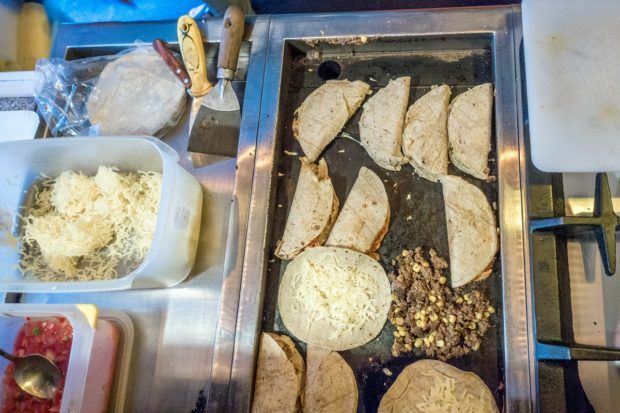 We have pretty high standards when it comes to Mexican food and wouldn’t normally jump for that particular cuisine in Central Europe, but Ellato kert rises to the occasion. I won’t say you’d think you were south of the border, but they make a mean margarita, and their taco game is strong. In addition to the food and drink, there’s plenty to occupy your time in the multi-room Ellato kert. Check out the ping-pong table or stop for a foosball game. You won’t be disappointed. 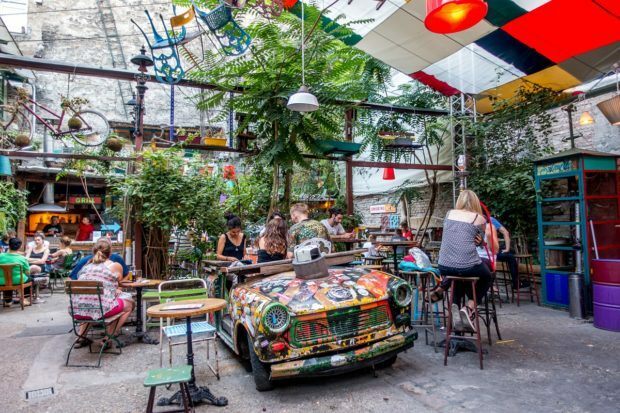 What do you think about Hopping Among Budapest’s Best Ruin Pubs? Brilliant write up of Budapest here Laura. Definitely one of my favourite destinations. We often stop here overnight as we drive across Europe. You’ve highlighted a few things I can put down for our next trip. Great post! I love the pictures from Budapest! Everything is soooo vibrant! I Foods are soo mouth watering plus the ambiance of every restaurants: Really loved it.